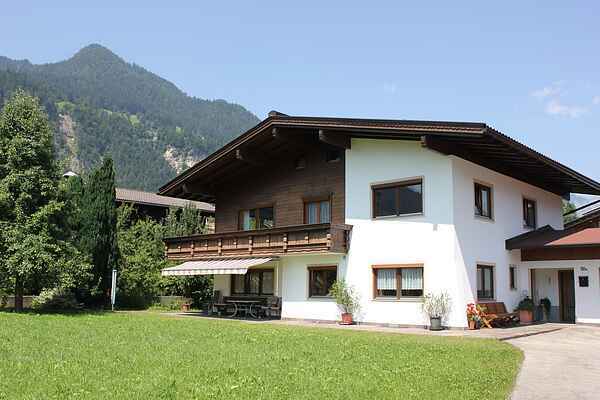 This large, cosy holiday house is located in Schlitters at the entry to the Zillertal, not far from Fügen. The house is very tastefully furnished with careful attention to detail and the first floor contains an open-plan kitchen, two bedrooms, a bathroom and a WC. From the balcony you can enjoy the wonderful view of the surrounding mountains. There is also a garage in addition to the large parking area. In summer this makes an ideal base for lovely hikes, with the romantic Zillertalbahn stopping practically outside your front door. This is a large house with lots of privacy and space to relax.